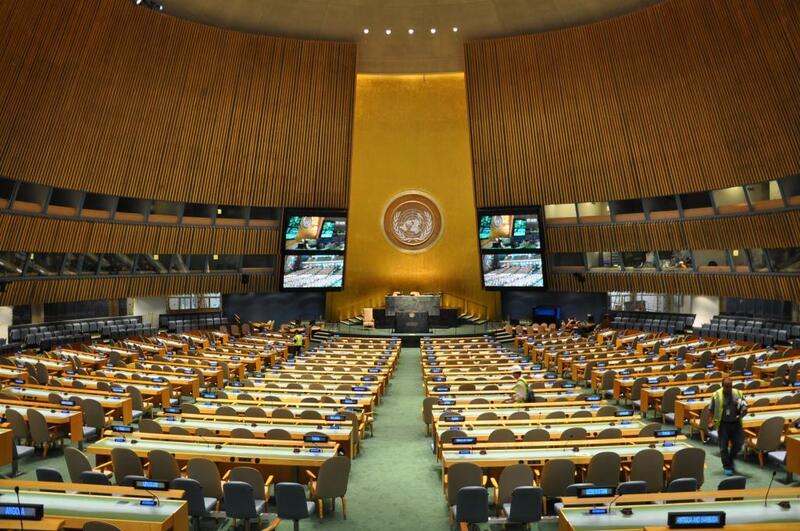 After less than 16 months in the temporary space the United Nations General Assembly is returning to the renovated General Assembly Building on 15 September 2014. With this the last major part of the renovation of the UN Headquarters under the UN Capital Master Plan, which started in 2008, will be completed. Why was the building renovated? 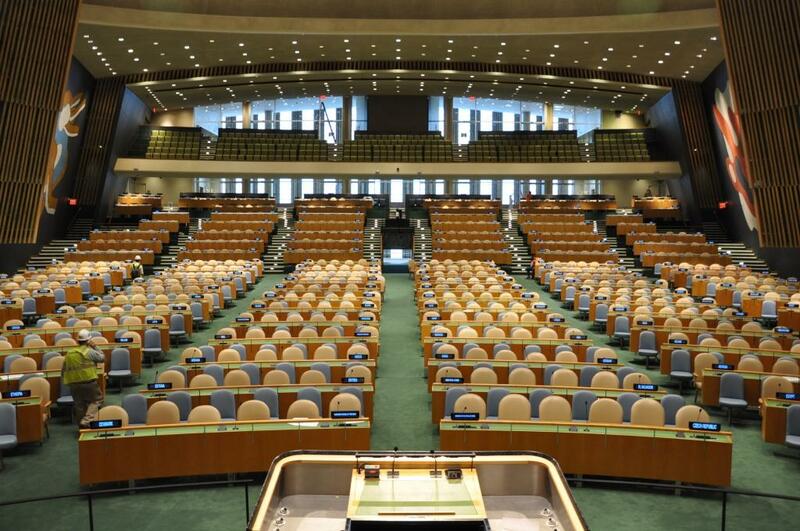 The reason for the renovation is that the original UN structures were built between 1950 and 1952. These buildings had aged considerably and clearly lacked the standards that are expected in a modern and safe building. Renovating the complex was the most cost-effective way of replacing aging and inefficient equipment, bringing the complex up to the same safety standards as other buildings in New York, and preventing future deterioration. See more answers to questions about the renovation in these FAQs on the website of the UN Capital Master Plan. 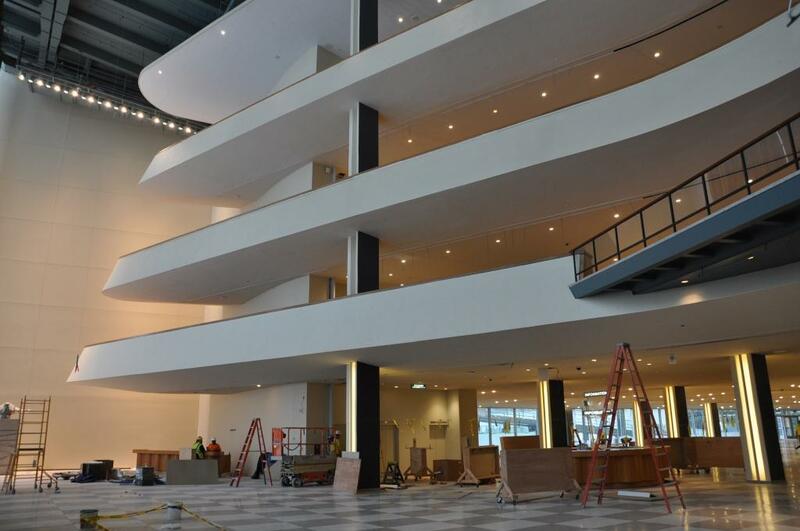 While the original look and feel of the General Assembly Building with its iconic Hall seating 1,850 people has been restored, state of the art electronics, improved and more efficient systems for heating ventilation and air conditioning, as well as better safety and security features make the building fit for the 21st century. Energy consumption of the renovated Headquarters will be at least 50 percent less than before, which means that greenhouse gas emissions will be reduced by approximately 45 percent. 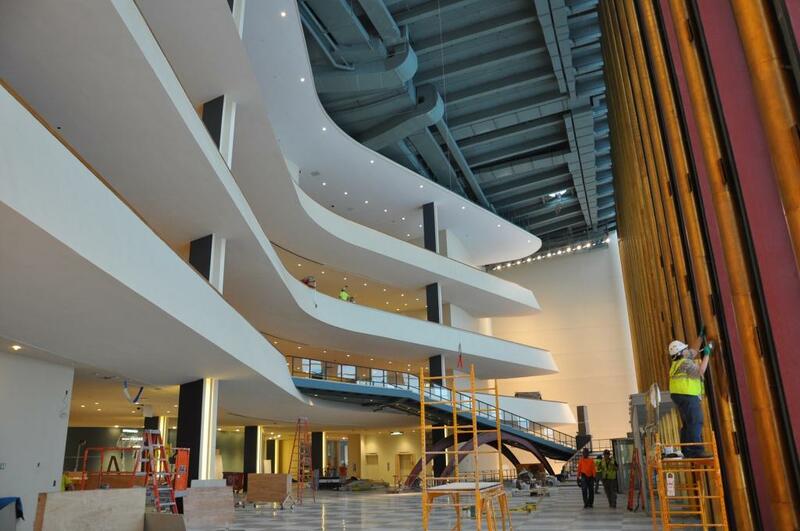 Fit for the 21st century: the newly renovated General Assembly Hall. Photo credit: Werner Schmidt. View of the newly renovated General Assembly Hall from the podium. Photo credit: Werner Schmidt. The newly-renovated lobby of the General Assembly Hall. Photo credit: Werner Schmidt.